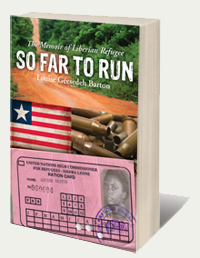 he captivating, inspiring true journey of Liberian refugee Louise Géesedeh Barton is recreated with vivid, haunting detail in this spellbinding memoir. For more than ten years, Louise spent her life on the run, hunted down as a member of the indigenous Krahn tribe, and as a distant relative of President Samuel K. Doe, who was assassinated during the civil war. This engrossing first-hand account is the only memoir written by a woman of the hunted Krahn tribe, and is an inspiring testimony of the strength of the human spirit coupled with miraculous provision in the midst of unbearable hardships. 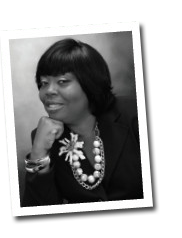 Louise’s authentic voice exposes immense love and hope for humanity, devoted passion and drive for her own life pursuits, a strong will to survive, and an unyielding faith. Her fluid, moving, and poignant narrative draws the reader in close to her every inhale and exhale, revealing a complex range of emotions and experiences; and in doing so, she paints a deeply holistic picture of her beautiful yet tragic motherland, Africa. Captivating, horrifying, and beautiful, Louise’s story serves as a towering and timeless inspiration. On April 26, 2012, Charles Taylor—who in 1989 led a massive band of Libyan-backed rebel forces known as the National Patriotic Front of Liberia (NPFL) into Liberia, creating what the U.S. State Department called "one of Africa's bloodiest civil wars"—was convicted by an international war crimes tribunal (the UN-backed Special Court for Sierra Leone in The Hague) of also planning, aiding, and supporting a Sierra Leonean rebel group known as the Revolutionary United Front (RUF), which launched Sierra Leone's 1991-2002 civil war; a war in which over 50,000 died. On May 30, 2012, the judges at the Special Court for Sierra Leone in The Hague sentenced Charles Taylor, the former Liberian President, to 50 years in prison, saying he was responsible for "some of the most heinous and brutal crimes recorded in human history." The judges ruled that Taylor had armed and supplied rebel forces—in exchange for payments of "blood diamonds," often obtained by slave labor—with full knowledge that the rebels would likely use those weapons to commit terrible crimes. Presiding Judge Richard Lussick said the crimes Taylor was convicted of were of the "utmost gravity in terms of scale and brutality." The 2006 movie, Blood Diamond, starring Leonardo Di Caprio, featured the RUF rebels, and was based on true stories of the atrocities foisted upon innocent people with the support of Charles Taylor. 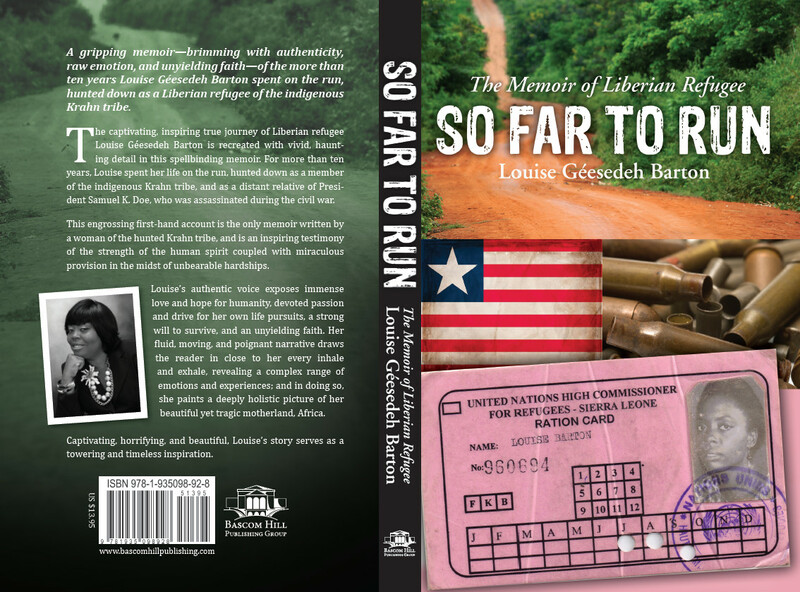 So Far to Run, with its heartfelt, honest, and raw narration, is the engrossing, first-hand account of a woman who miraculously survived both the Liberian and Sierra Leonean Civil Wars—and as has been shared by many reviewers, is the type of book you won't be able to put down until the very end. I read this book in one day. Once you start reading you won't be able to put it down. There are few books that have impacted me so deeply as Louise Geesedeh Barton's SO FAR TO RUN. Her story caught my breath mid-chest and brought tears to my eyes on many occasions. Very well done. Written in such graphic detail I felt I was there! What a wonderful dear courageous soul! I cried and laughed from beginning to end! I had so many different emotions while reading this book. It has definitely helped me to look at life in a more positive manner. . . . This book is a must read you will not regret it! I am so glad to have read SO FAR TO RUN. This book gripped me from start to finish. . . . Louise Barton is a true inspiration. I highly recommend this book!! Don't have an eBook reader? Download Amazon's FREE reader software. There are few books that have impacted me so deeply as Louise Géesedeh Barton's SO FAR TO RUN. Rarely is a memoir written in such singularly powerful fashion as this one.